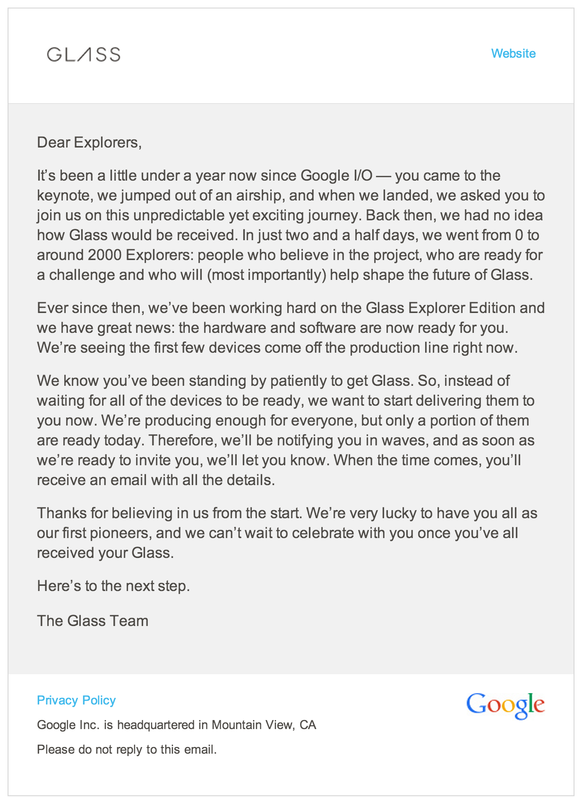 It appears that Google Glass Explorers should soon be getting their Glass units. AnandTech’s Brian Klug got the following announcement. Google Glass heads-up display wearable computing HUD Google Inc.